Authentic Re-production of the original Trimphone Dial telephone in two-tone Orange and Yellow. This working telephone has today's technology, a functioning rotary dial, with last number re-dial and digit-repeat feature. 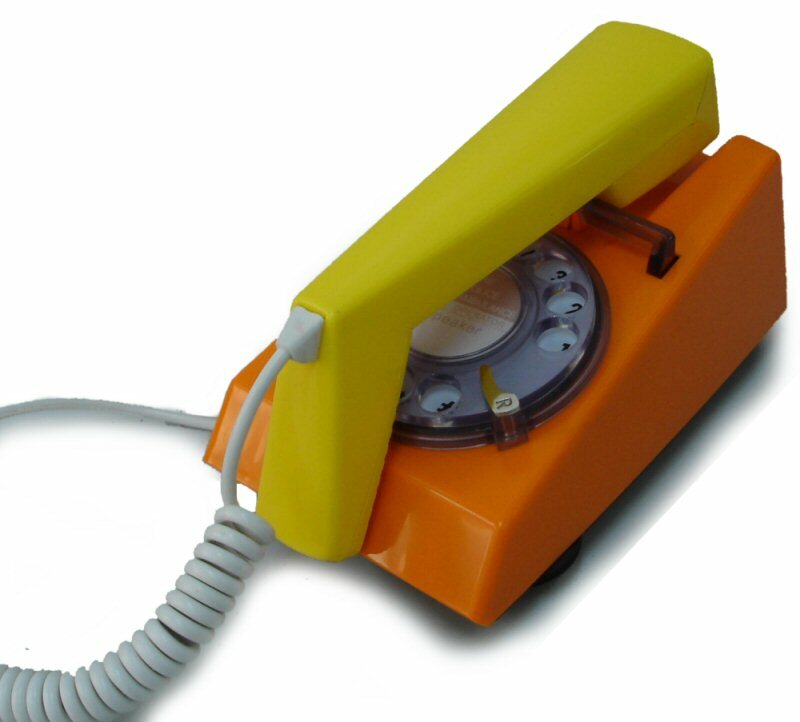 The volume of the famous Trimphone electronic ring can be controlled using the rotary control wheel on the side.